Mid-knee length dress has fitted bodice with bias front and dropped back waistline. Self or contrast bias notched collar, slightly flared skirt (no side seams) with bias front panel forming side front pleats, short or full length sleeves with self or contrast slit bias cuff and button and buttonhole trim. Purchased contour belt. The skirts have side zipper and waistband. Skirt V. 1 is straight. Skirt V. 2 is A-line. The lined, double breasted jacket with princess seaming has collar, long set-in sleeves, front button closing and pockets concealed in side front seams. Jacket V. 2 has fur fabric collar sewn over jacket collar or a purchased fur collar may be worn. It is quite plain, but I bought it from the same supplier to “save postage” haha! And I just love a 60’s suit. Jacket has scallop and top-stitch trim at neckline. Seven-eighths length sleeves and pockets in side front seams. Straight skirt with contour waistband and side back zipper closing. Loose-fitting straight dress with high V-neckline, has cap sleeves; contour buttoned belt. Pockets in side seams. Slightly fitted double-breasted jacket with bias collar, has seven-eighths length kimono sleeves with gussets. 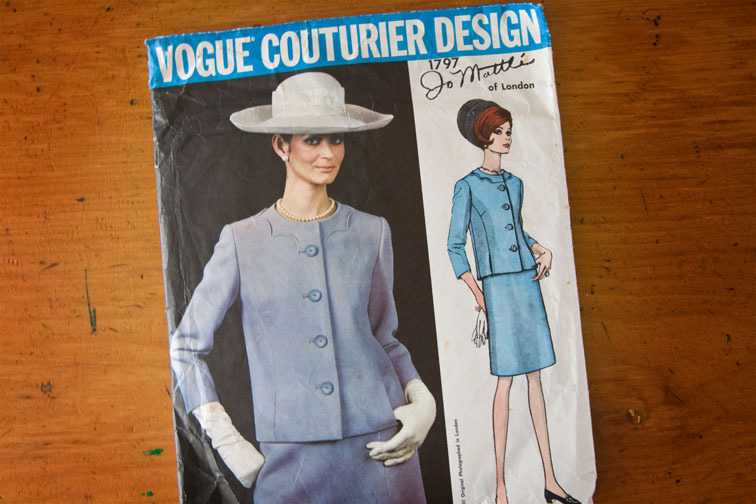 I’m looking forward to making this one, but have no idea what fabric I will use yet – perhaps I need something new?! I didn’t realise that Academy Patterns were manufactured here in Auckland! Unfortunately I haven’t been able to find out much about them so if anybody does know more about them please share – it will be an interesting slice of NZ history. 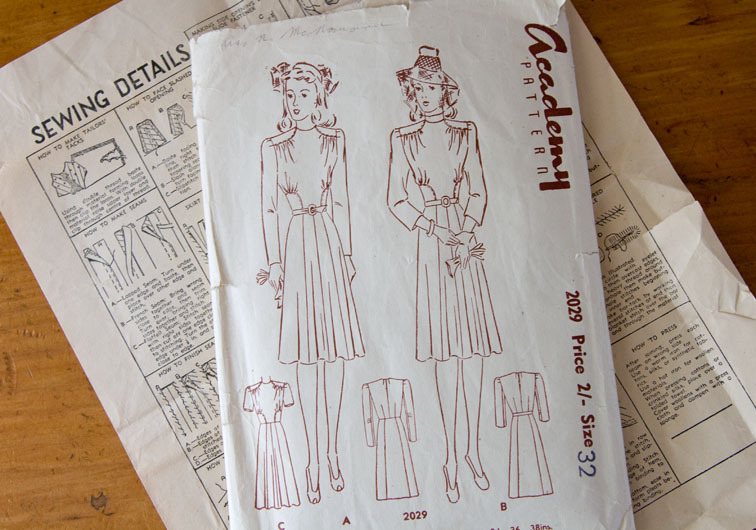 I did find some sewing patterns from “NZ Cutters Academy” from the same era at Te Papa museum, but there were no images to confirm if this was the same company. I feel a quest coming on…! In the meantime, which ones are your faves, and what shall I make next!? Polyester – It Ain’t All Bad! Blogoversary – and a Special Treat for My Readers! They all look really nice, but my favorite is the 1966 Vogue Paris Original 1918 Givenchy. I'm really looking forward to see yours when you make it! I've been trying to find out some information on the Academy patterns as well, and haven't found anything at all so far! Would love to hear about it if you do learn anything – for a pattern company that seems to have been so prolific around NZ in the 1940's and 50's, they're surprisingly mysterious! That academy pattern looks really interesting. I'm actually having problems imagining what it would look like sewn up.st seems like a lot of emphasis on the bast though. Love all your new patterns and I especially love the Academy one! It's so much fun to find out about more obscure pattern companies! Love them all, but 1918 is crying out for yellow linen…just like the design image. All lovely. My favourite is the Molyneux dress. 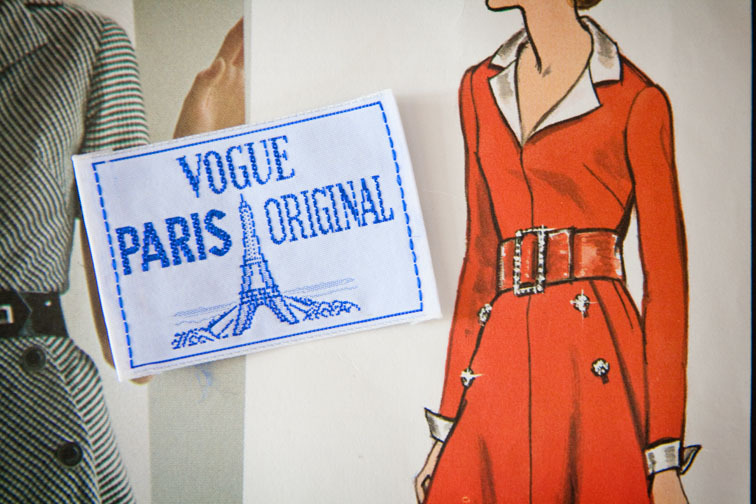 My favorite is the Vogue Paris Original 2627 Molyneux, Misses Dress. On a whim I went over to Etsy to see if they had a copy. Can you believe they had an uncut copy in my size. I had to get it. I can't wait to see your version. Yes, you need something new! (How's that for enabling?) I'd love to see that 1918 Givenchy pattern made up. 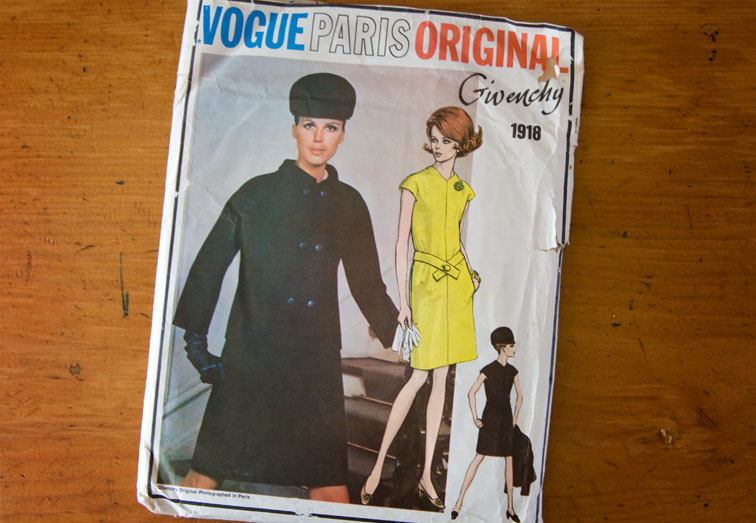 My favorite is the 1970's Vogue Paris Original 2627 Molyneux. The cute little label is a sweet bonus. I do love looking at vintage patterns… my fave of your current batch is the very first one… those 70s patterns sure do it for me, sigh. I like them all but the Givenchy is fantastic, one of my all-time favorite designers, so simple and chic. I can see that as a spring outfit in wool crepe. I had forgotten about those labels. I was so proud to sew those into my clothes, the last step before wearing. I love all of them but especially the first one – the Molyneux one! Can't wait to see your finished versions. Beautiful patterns! I particularly love the Givenchy dress and jacket – tres chic! Great finds. I also love the Givenchy pattern. 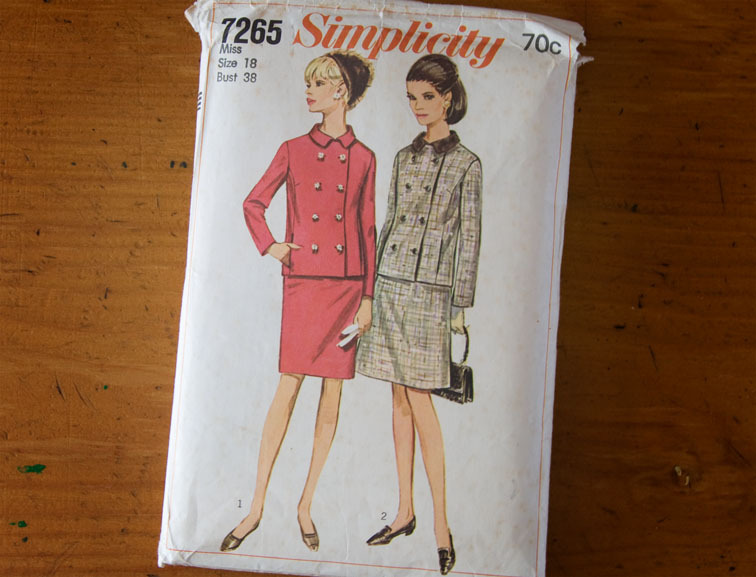 I love vintage pattern shopping – quite addictive. You've done well, some great patterns. Looking forward to seeing them made up. When you buy vintage patterns, do you buy whatever size is available, or try and get one that is close(ish) to your measurements? How much redrafting do you have to do? Any tips? Nice patterns – that Givenchy is adorable. Gail – I was thinking orange! Kathi G – That was meant to be! liza jane – Thanks! Even more enabling is the 30% discount at Global Fabrics this week! Brumby – Lol! 32 patterns, I'm jealous!! Liz B – I usually buy within a couple of sizes and grade them up or down. I haven't had any serious fitting issues, except one pattern and looking back I am sure the wrong size was in the envelope as it was huge! I vote for the givenchy! So Charade/Audrey Hepburn. The academy is super, too. Ohhh Vintage patterns are a guilty pleasure for me. Not because they are of bad taste, in the contrary. 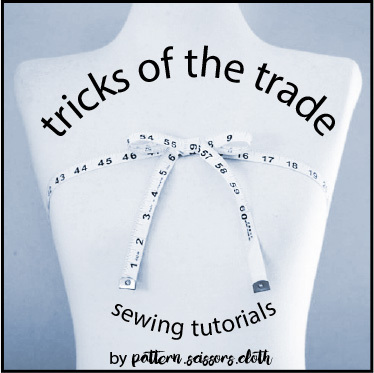 I simply feel guilty of buying patterns I might never sew. But, they are often such an amazing source of information on techniques very few people use any more. I have to stay away Ebay not to buy more. Molineux patterns are wonderful, always feminine and urban. I often feel they were designed for working women. Your new acquisitions are great !! I'm assuming James and Allan and Ray must have been related. James looks to have died in 1955. (See Archives NZ Probate listing http://www.archway.archives.govt.nz/ViewFullItem.do?code=9373880) Allan was also known as Allen in some official doucuments and died in 1965 (see Probate information http://www.archway.archives.govt.nz/ViewFullItem.do?code=14771583). I couldn't find any more information on Ray. 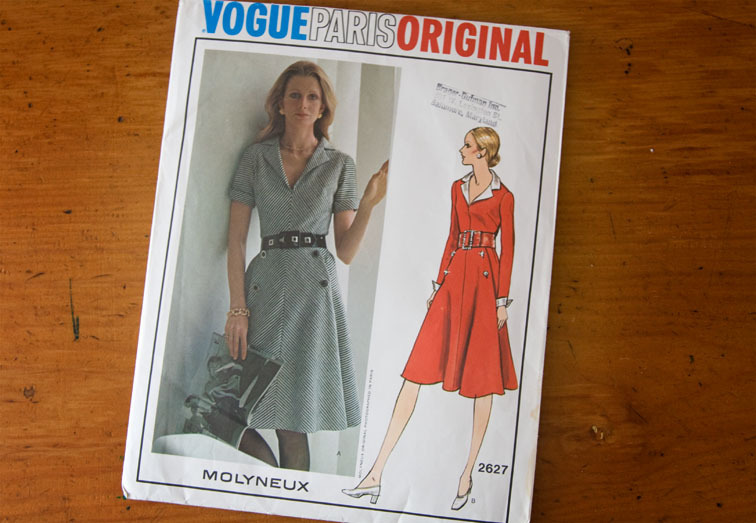 Have you sewn the Molyneux vogue 2627 yet? I haven’t yet, but now you have drawn it to my attention I feel that this winter may be the time! I love that pattern, I hope that I will see a picture of what you will sew. I am spending so much time looking at these older patterns. I am waiting to find it in Size 16: bust 38 and a reasonable (very reasonable) price.